Ah, yes. The beginning of a manga/webcomic/webmanga/whateveryoucallit. The thing is, though, I actually did the first whole chapter and decided to do the prologue here, so I guess you could say this whole thing is about a year old, more or less -_-""
'Kay, y'all. I am well aware that this is (this manga) is really strange....in that there are 345787654356789 details per every page and it's hard to notice all of them, 'specially since much of them are important! Just an F.Y.I. here: from now on, on these commentz, I will post a summary for each page. 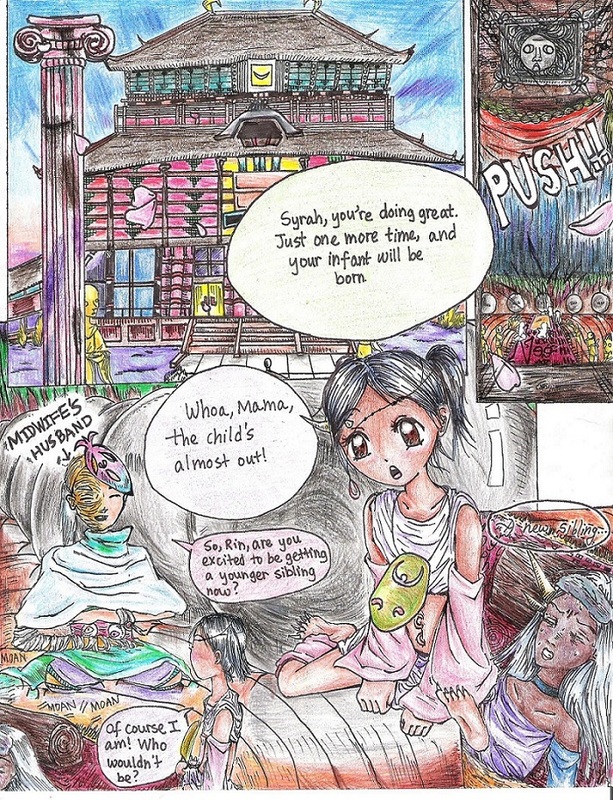 Summary for this page: In some random universe (which shall be explained later), this girl has a mom. And that mom is having a child.